The first Inner Space Crime Mystery was written by Aberdonian Merlin Fraser and published in 2007. The novel has a paranormal twist in crime mystery. It is written by Merlin Fraser who was born in Aberdeen but moved to England aged six years. He returned to Aberdeen as an adult where he worked on the oil rigs and later went on to travel the world working for major oil and oil service companies for twenty five years. With the publication of Inner Space, The All Seeing Eye, it makes it three in a row and the one his numerous fans have been waiting for. For those not yet familiar with Fraser�s work you will be pleasantly surprised with the simplicity and clarity he can bring to the complexities and depth of the human mind. Blending the paranormal with a decent �Murder Mystery� seems to be a genre that Fraser is making his own, as his sometimes anti-hero Detective Nick Burton finds himself entering a reality darker than he ever imagined. Merlin Fraser is a �gloves off� sort of writer. His direct style based upon a straight forward attitude to storytelling makes for a good read. Underneath the action orientated tone of his narrative you will discover a thick layer of passion and a rather complex set of emotions. Merlin Fraser now lives in Gloucestershire and often returns to his native Aberdeen where he visits his mother, Phyllis, at Sheddocksley. His brother, Ian, lives in Portlethen and is an inspector for the oil industry. 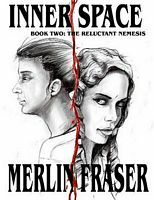 Buy Inner Space by Merlin Fraser at a discounted price with free delivery available. 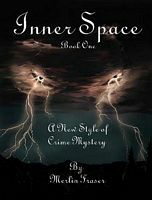 Inner Space is also Available at www.Lulu.com as paperbacks or as E Books.